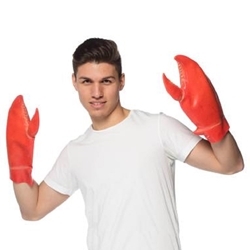 The Lobster Claws are a pair of latex claws available in One Size Fits Most Adults. Take on the iconic look of nature’s coolest crustacean, the Lobster! These fun claws will have you moving side to side in joy. Also works for a Crab, and for Lovecraftian Monsters!